Unfortunately, there’s just nothing else. 1. 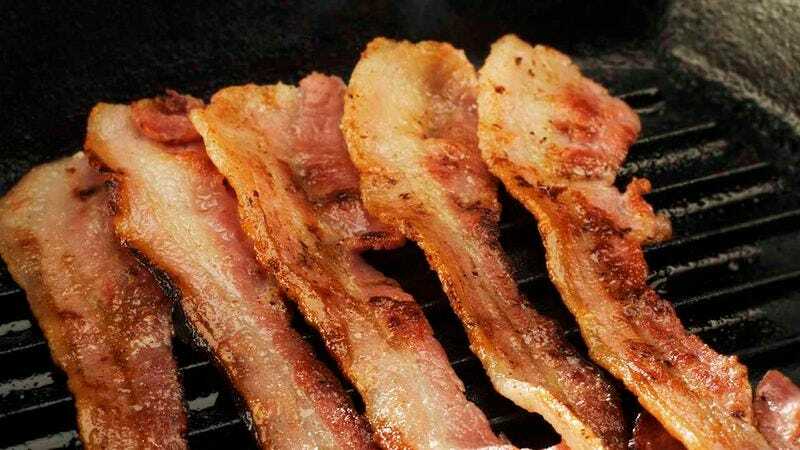 It just doesn’t get any better than crispy, delicious bacon, and frankly, that’s kind of bleak. 2. Oh, man, look at all that bacon. What more could you want? There’s got to be something else, right? Something more? 3. We’re gonna dream about bacon-wrapped grilled cheese tonight. Dreams are wild spaces of infinite possibility, and ours are about mass-produced cured pork. Jesus Christ. 4. Better hope this bacon explosion excites you, because otherwise? That’s it, buddy. 5. These maple bacon donuts are our whole life now. Somewhere along the way, something essential must have been lost. 6. Two words: bacon bikini. Desire, consume, desire, consume. We’re trapped on a treadmill, and it’s making us weaker every day. 7. Love, freedom, fulfillment? Just words. Bacon sushi is all we can hope for now. 8. And even if you get the bacon, then what? Then what? 9. That’s it. That’s all there is.